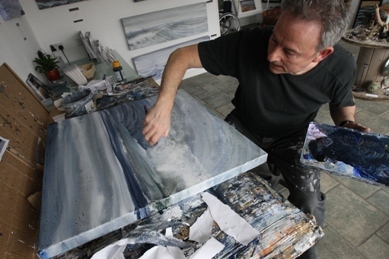 DAVID SIMPSON talks to Northumberland artist Mick Oxley about his wonderful seascapes. As part of our continuing commitment highlighting the work of North East artists, photographers, film makers, writers, musicians and other creative people we talk to 64 year artist Mick Oxley who lives and works in Craster. 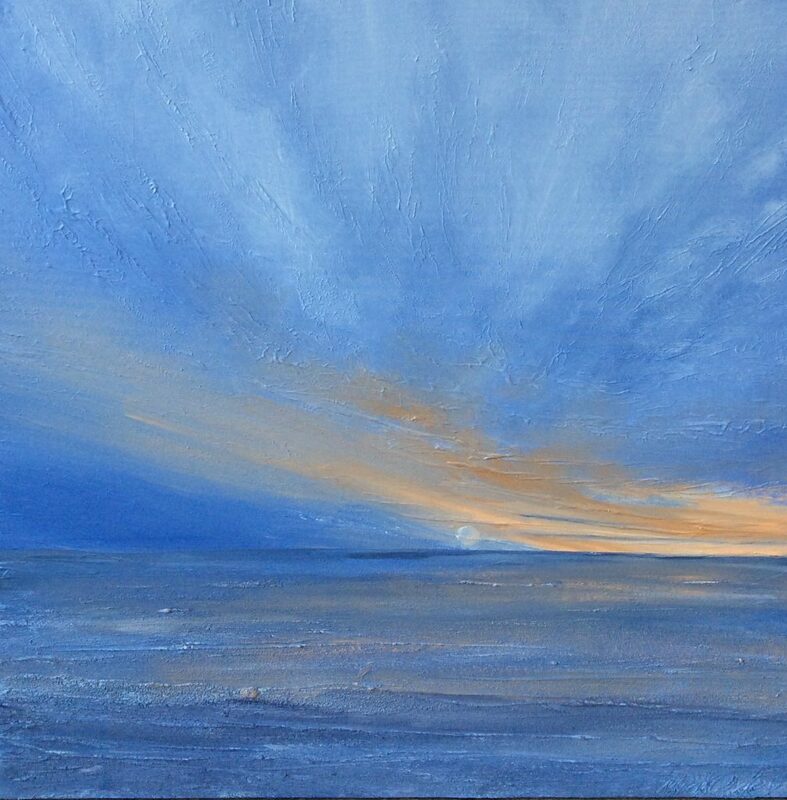 A painter whose work is influenced by the sea and shoreline of the Northumberland coast, it’s moods and atmosphere. I started painting in 1999, after retiring from teaching and I am wheelchair bound. I began under the tutelage of Gordon Highmoor at a WEA class in Craster. I went full time in 2003 and opened my gallery in 2008. I paint and sell from Craster. To be honest, I am proud of a lot of my work, although I do have one or two favourites. While I have worked very hard to get where I am, I also consider myself fortunate I decided to give painting a go. My biggest influence is the environment that surrounds me – the coastline, the moods of the sea, the kaleidoscopic changes. This provides me with a never ending source of inspiration. I grew up in the North East, left to work elsewhere and always wanted to return. The area and its people are very much part of my DNA. Usually very large paintings, when I can struggle to reach across the canvas. Not being able to stand can pose problems and I have to be extra creative. Enjoy what you do, have fun, practise as much as you can and you will improve. My two biggest influences are the North Yorkshire artist Len Tabner and Norwegian Ornulf Opdahl. Both artists had a profound influence on me when I began painting. February Sunrise. Painted by Mick Oxley. My aim is to carry on enjoying what I do. I like the dual role of painting and running the gallery. I enjoy meeting the customers and working from Craster. 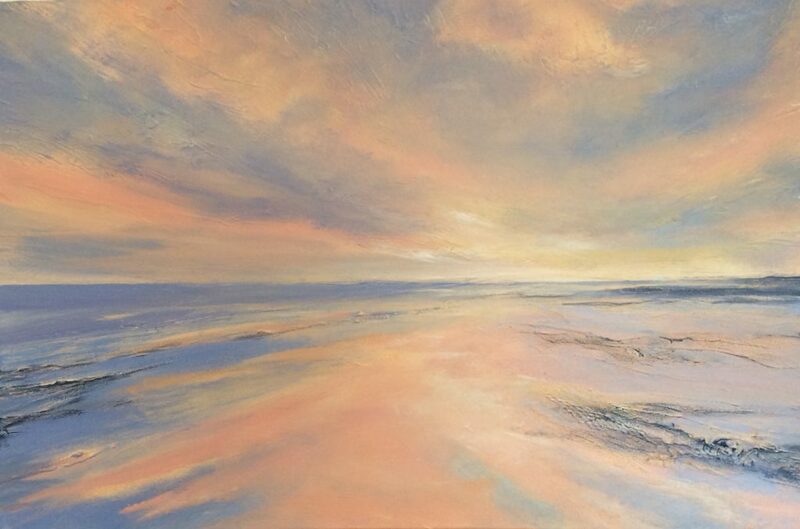 Better still, why not pop along to Mick’s gallery in Craster and take in the wonderful Northumberland coast while you’re there?